Along with 6 standard colours and many designer window offerings, this line has our patented finger protection technology, Lifetimer™ Plus Warranty and beautiful decorative face hardware options. The black matte powder coated straps and handles appear hand-forged, adding a historically accurate quality to your door. 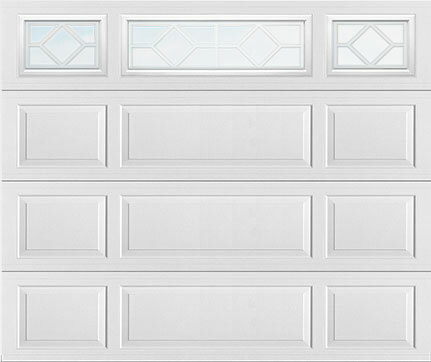 Door Sections are made from strong, rust resistant, embossed galvanized steel, coated with a baked-on polyester paint finish.